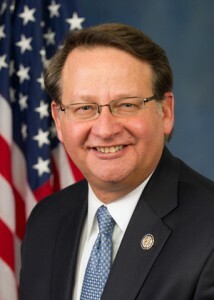 Congressman Gary Peters (D-MI) will receive an honorary degree and give the commencement address when Lawrence Technological University (LTU) holds its 81st commencement on Saturday, May 11, at 1 p.m. at Ultimate Soccer Arenas in Pontiac. LTU will confer almost 1,000 degrees this academic year. • Frank Davis, who earned a bachelor’s degree in mechanical engineering in 1984, is executive director of North America engineering at Ford Motor Company. • Vincent Dow, who earned a bachelor’s degree in electrical engineering in 1979, is vice president and chief engineer of Distribution Operations at DTE Energy. Peters represents the 14th congressional district that includes Pontiac, West Bloomfield, Farmington Hills, Southfield, Oak Park, half of Detroit, and the Grosse Pointes. Shortly after arriving in Congress in 2009, he worked with the Obama Administration to ensure the survival of Michigan’s auto industry, making sure that manufacturers received loans they needed. Today, Michigan’s auto industry is back and thousands of new jobs have been created in southeastern Michigan. As a member of the Financial Services Committee, Peters has worked to hold accountable those on Wall Street who caused the recession. As one of just 10 House Democrats selected to serve on the Wall Street Reform Conference Committee, he played a central role in shaping the toughest financial reform law since the Great Depression. For 22 years Peters was an investment advisor, helping families save for retirement and provide for their children’s college education. He was elected to the Rochester Hills City Council in 1991 and to the Michigan State Senate in 1994. He later served as the Michigan State Lottery commissioner. Peters served as a Seabee combat warfare specialist and rose to the rank of lieutenant commander in the U.S. Navy Reserve. After the September 11 terrorist attacks, he signed up to again serve in the Reserve. He has a bachelor’s degree in political science from Alma College, an MBA in finance from the University of Detroit Mercy, a law degree from Wayne State University, and an MA in philosophy from Michigan State University, with a focus in the ethics of development. He will be awarded a doctor of humanities degree, honoris causa, by LTU. 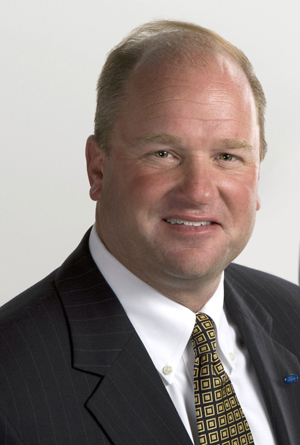 Ford Motor Company Executive Director of North America Engineering Frank Davis earned a bachelor’s degree in mechanical engineering at LTU in 1984.
and development for all North American Ford and Lincoln brands. He also has the lead role among Ford’s Global Engineering directors in driving global engineering standards, policies and practices. 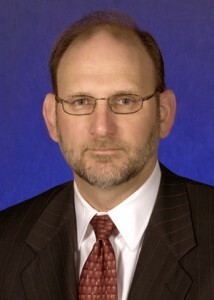 Davis has been with Ford for 29 years, and has held product development positions in North America, Europe and Japan. He began his career in Ford Heavy Truck Operations as a chassis design engineer. As executive director of North America Product Programs from 2007–11, he led a team that overhauled the Ford product line-up from the Fiesta through the Super Duty truck line. Davis pursued his LTU degree first by attending evening classes and later as a full-time student. “My time at Lawrence Tech made me who I am today and taught me many life lessons, such as my work ethic and the value of teamwork,” said Davis, who also has an MBA from the University of Detroit Mercy. “At Lawrence Tech, I learned that ‘good’ was never ‘good enough’ and the faculty always challenged me to go further. That’s what I do every day at Ford – Go further!” Davis said. DTE Energy Vice President and Chief Engineer of Distribution Operations Vincent Dow earned a bachelor’s degree in electrical engineering at LTU in 1979. As vice president and chief engineer of Distribution Operations, Dow oversees DTE Energy’s electrical system, including new customer connections, engineering, power plant electrical equipment, and all distribution system construction. He also oversees asset optimization, distribution contract management, performance management, the Smart Grid efforts, and NERC standards and compliance. Dow joined the company in 1979. He has served in a number of departments, including power delivery operations; customer service, billing and meter reading; IT project management; energy distribution strategy; field services; construction and maintenance; engineering; and emergency preparedness. Significantly involved in the community, Dow’s activities include creation of DTE Energy Farms, a cooperative with Gleaners that grows food on DTE property and donates 50,000 pounds of food a year to needy residents in southeastern Michigan. He also developed Employee Resource Network groups at DTE to sponsor diversity efforts throughout the company. He has also worked with a small team of LTU faculty and DTE employees to identify potential areas of engagement. He volunteered to be the executive sponsor and is credited with creating DTE Energy’s first formal university partnership. In addition to his LTU degree, Dow earned an MBA in personnel management from Wayne State University.